Twitter is easy, isn’t it? What can be so complicated about 140 characters? That’s what many think about starting a Twitter account. And then they get frustrated. And often the result is that they leave Twitter and say: Twitter does not work for me. It does not have to be like that. Twitter will work in almost any niche and for most people who try to market something. But you have to get it right. As simple as Twitter seems at first glance, there is a lot to get right before Twitter marketing success. But it is well worth to add Twitter to your social media marketing and learn how Twitter works. 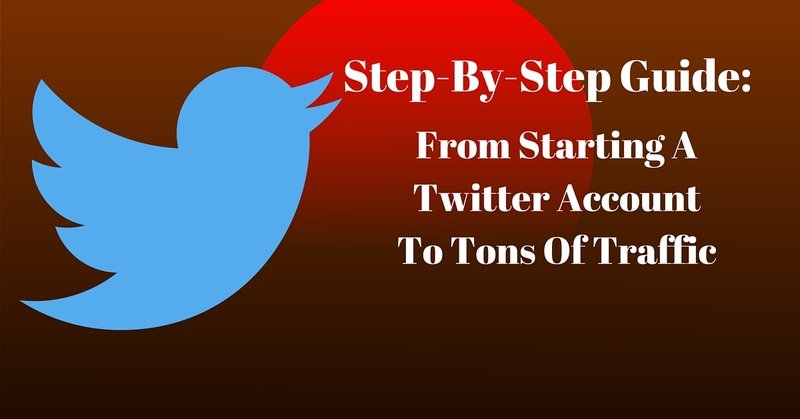 Generating traffic to a website is one way of being successful with Twitter. And here are the necessary steps you need to take to get there. This is not a joke. Far too many Twitter users are lazy when it comes to setting up their Twitter profile page. They do not have an avatar, they did not fill out their bio and they do not use links and header. And that means they are missing out. Your Twitter profile is your chance to show who you are and what you are about. Choose a username and Twitter handle that people recognize – and search for when they are looking for you. Even if it is just 160 characters in the bio – or especially since you only have 160 characters you need to get it right. Make sure you use the right keywords to make it easy for people to recognize what your interests are – you may even want to add a hashtag. Show personality – and you can even add some links either to other social profiles or to a website you want to promote. Your avatar should not be an egg either. It should be recognizable. If your account is a personal account the best avatar usually is a photo – but other personal pictures also work – but consider that the avatar is very small – what is depicted should be easy to recognize – and not be mistaken for something other. The Twitter header gives you a unique chance of giving more information without getting stuck in the 160 character limit of your bio. This is one of the most common mistakes: Not providing enough value to make your account worth to be followed. What you tweet should 99% of the time be about what your target audience wants and not about what you want them to know. The best Twitter accounts that gather the most followers on Twitter are the ones that tweeted valuable information, are helpful and engage with their audience. Many people do not know how to use Twitter for marketing and get it all wrong by shouting promotions to thin air all the time. Do not make the mistake of tweeting about yourself and your products all the time. That is not what is going to attract an audience. People are not only following celebrities on Twitter. They are looking for information – and following accounts that provide that information. A great way to provide value is to share valuable content. Either curated content from others that you yourself find awesome and helpful – or your own content from your blog or website. This is the same as with content: simply create it and wait that someone will accidentally discover it is not enough. Content needs distribution, and so does your twitter account if you want to get followers. To get this right is the key to your success with twitter marketing and the best way to get more followers. There are a lot of things you can do to get your account in front of the eyes of your target audience – and targeting is crucial. Retweet and like what others tweet. Make sure that you only retweet stuff that really has value! The people who you retweeted will usually notice that you did. Most people on Twitter watch their notifications tab and that is where they will see that you retweeted or liked their tweet. Follow people from your target audience. Be careful, choose very targeted accounts to follow and do not get over enthusiastic! To make this the most efficient Twitter growth method, you have to know the limits and the best practices for the follow-unfollow-method. Join conversations. Use a tool like Tweetdeck to monitor tweets mentioning a keyword, hashtag or keyphrase. 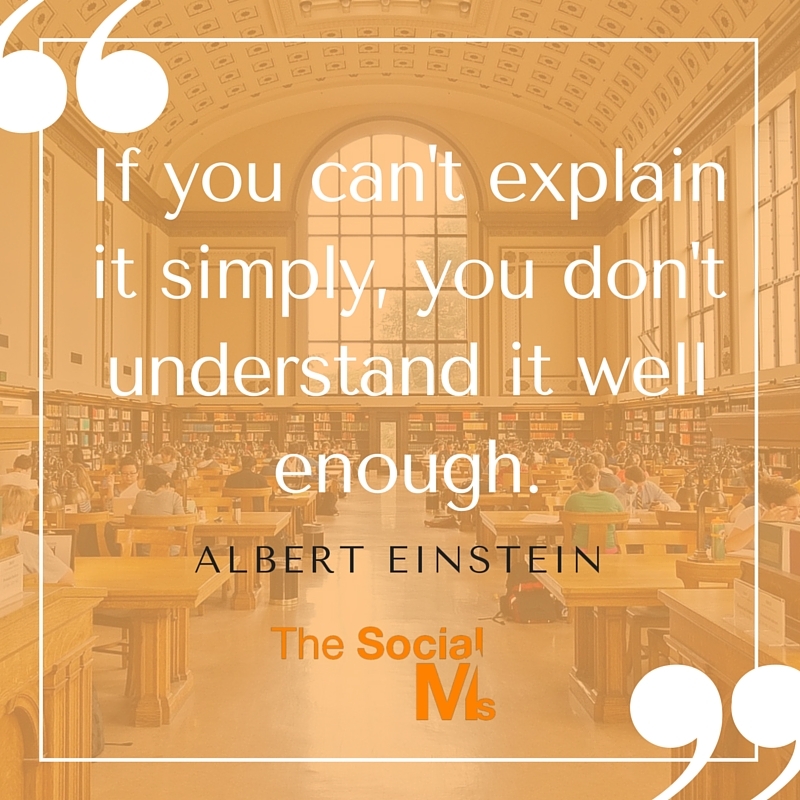 Use the conversations to interact and to connect with people from your target audience. Mention your Twitter account in guest author bio or speaker bio. Provide a follow button on your blog. Use @mentions in tweets to get more shares, retweets and likes. Read here how to best use this method. The notifications tab is where communication and interaction are happening. You can see who retweeted, liked or commented on your tweets. Watch this carefully and join the conversation when it makes sense. This is your best chance of actually building stronger relationships on Twitter. And what is even better: you do not have to start all the conversations yourself. Simply by watching the notifications tab, you will be able to engage many of your followers. Most people who are starting with Twitter do not tweet enough. One tweet every few days is as good as nothing. Even a couple of tweets every few days will not get you far. The average lifetime of a tweet is a few minutes. That means if you tweet once a day your account is basically invisible for over 23 hours. When you are starting out around 10 tweets that share valuable content in the form of links are a good start. Add the tweets from your conversations and you can easily send 20 to 30 tweets per day. Most of us do not have the time to engage on Twitter all day long. So we do our Twitter tasks a few minutes here and a few minutes there. But you want your tweets to go out at times when your target audience is online and active on Twitter and you want to spread out your activity over time. Ou will not see the best results if you send a couple of tweets in quick succession and then your account is silent for the remainder of the day. The solution is scheduling your tweets so that they go out at the times you set. There are multiple tools that can help you with this. Buffer is probably the best choice if you are starting out and simply looking for a tool that allows you to easily spread out your activity over the day. The free version lets you schedule up to 10 tweets at a time, that’s probably going to get you quite far. Multiplying the number of tweets can easily multiply your traffic from Twitter much easier than a couple more Twitter followers would do. In order to get the best results from your Twitter activity, there is still a lot you can do. The following are just a few short tips to get you an idea that there is always something to optimize and do better. Add images. 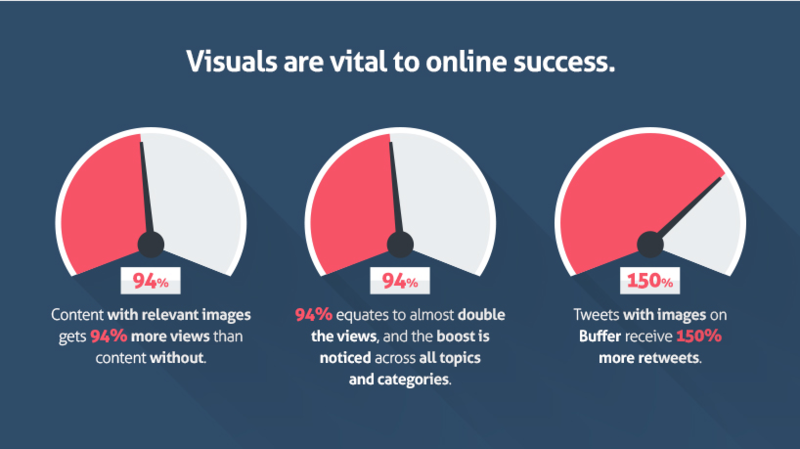 Tweets with images get a ton more retweets and clicks. Provide share buttons: Without share buttons, you can be lucky if anyone at all will tweet your content. Make it easy for your readers to share your content and help you spread the word. Provide better headlines. The same piece of content can totally fail with one headline and go viral with another. Read this for more tips on creating better headlines. Add 1 or 2 hashtags. Use Twitter lists to sort your followers and follow people from special topic areas. Start the conversation with questions and Twitter polls. Use Twitter search to find conversations from your niche. To understand what works and what does not, to prove that you are investing your time in something that is paying off: Watch your metrics. Take a look at your Twitter Analytics, consider if you are targeting the right audience and see if the number of retweets and other reactions you get are increasing. If you do not have it yet, install Google Analytics or any other analytics tool and monitor if the traffic from Twitter back to the content that you shared increases. And there is nothing wrong with using some tools to help you with your Twitter marketing and automation! Watch the analytics in your scheduling tool (for instance Buffer) and make sure you know which tweets perform best – consider doing more of what works best. Do you have a Twitter account? Good! Do you get the traffic from Twitter that you expected or hoped for? Probably not! 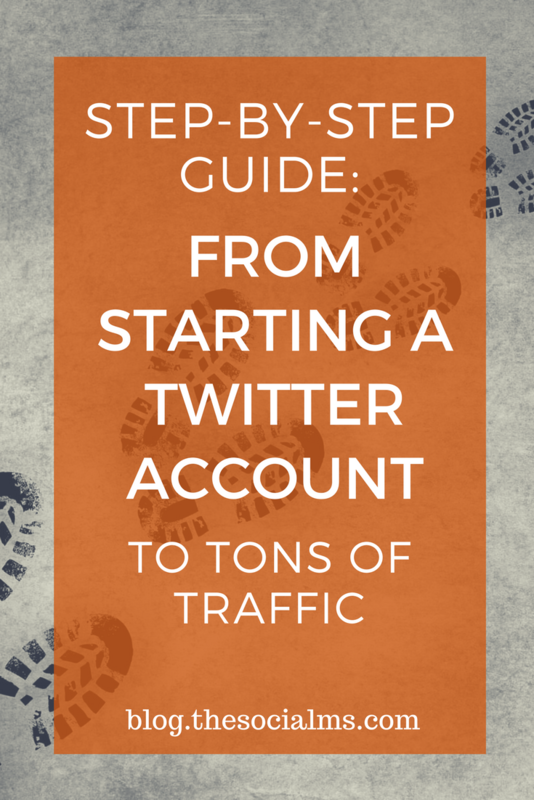 Did you know that you can easily double your traffic from Twitter? More likely you can get 10 times or even 100 times the traffic you are getting from Twitter today. Does it work? Sure! 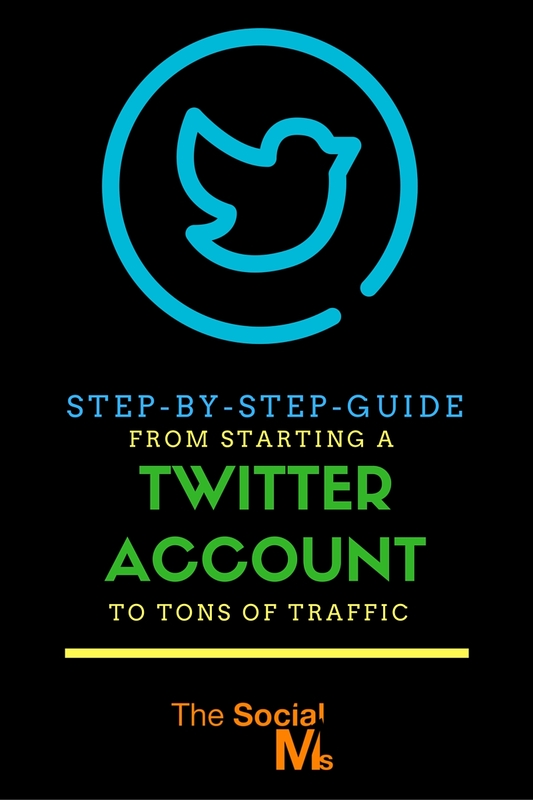 I have used the methods from this book to grow my Twitter account to over 200k (targeted) followers. We grew the traffic to our first business to almost 700k visits in a year – just from Twitter. We get most of our consulting clients from Twitter. Do you want to know how to do it? Click here! Did you like this article? Please pin it!